Cruise around the Sacred Islands of the Aegean Sea! Sail la Vie and united in an exclusive pilgrimage cruise around the Aegean Islands. The deep blue of the Aegean Sea in combination to most important spiritual sites of the Orthodox Church will take you on an unforgettable journey through Greece. 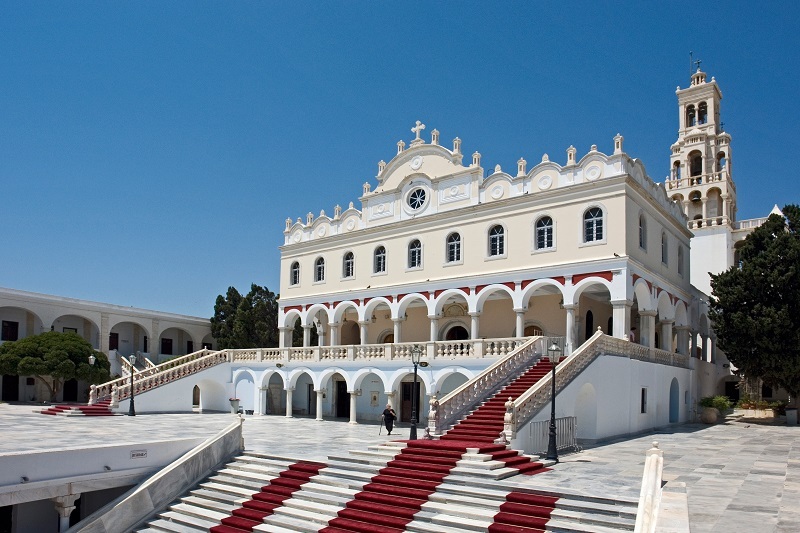 The highlights of the cruise are Panagia Evangelistria in Tinos, Panagia Ekatontapiliani in Paros and of course Patmos with the St. John’s Monastery and the Cave of the Apocalypse. The cruise starts and ends in Athens which gives you also time for experiencing the city and visiting the Acropolis and Museums. 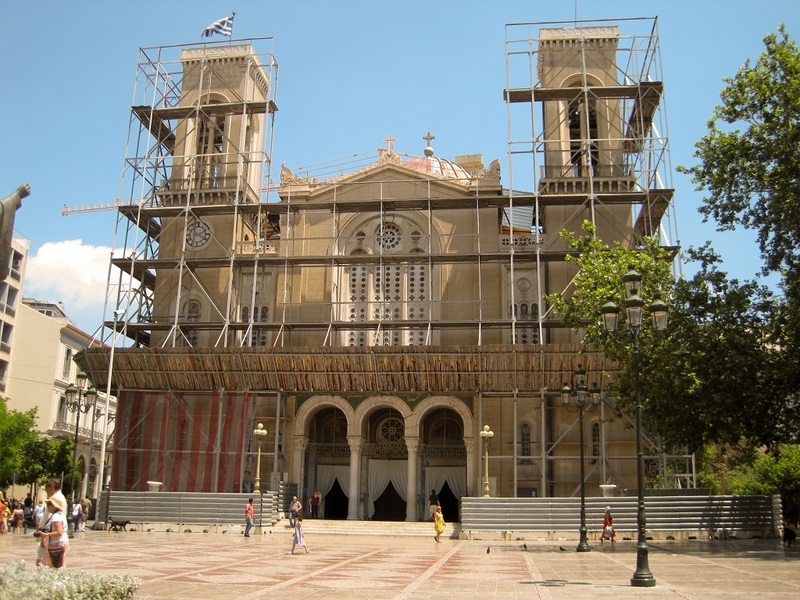 The Mitropoli, or Metropolitan Cathedral is the seat of the Bishop of Athens and an important spiritual center of Greek Orthodoxy. It remains a major city landmark and the site of official ceremonies like coronations and important weddings and funerals. Inside are colorful Byzantine-style frescoes, gleaming treasures, and the tombs of two saints killed by Ottoman Turks: Agia Filothei and Patriarch Gregory V.
Kaisariani Monastery (or Moni Kaisarianis) is a beautiful 11th century Eastern Orthodox monastery on the slopes of Mount Hymettos just 5km east of Athens. 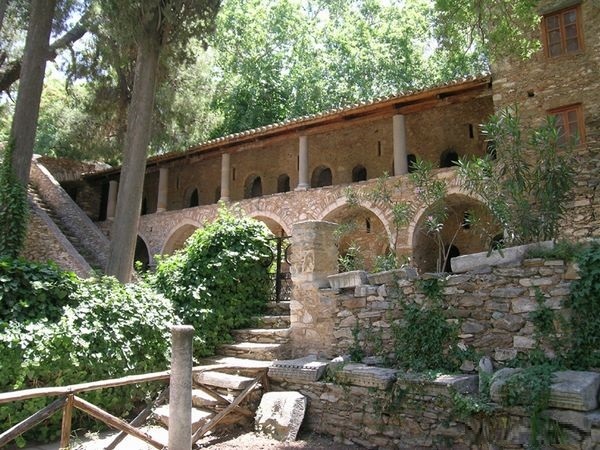 Kaisariani Monastery was built on the ruins of a Roman temple. The church of the monastery was dedicated to the Presentation of the Virgin and is built in the shape of the Greek cross. Beautiful frescoes that are well-preserved and date back to the 17th and 18th centuries ornate the monastery’s walls. The large gardens around the monastery make the whole site feel like a peaceful sanctuary and turn it into a perfect escape from the city. 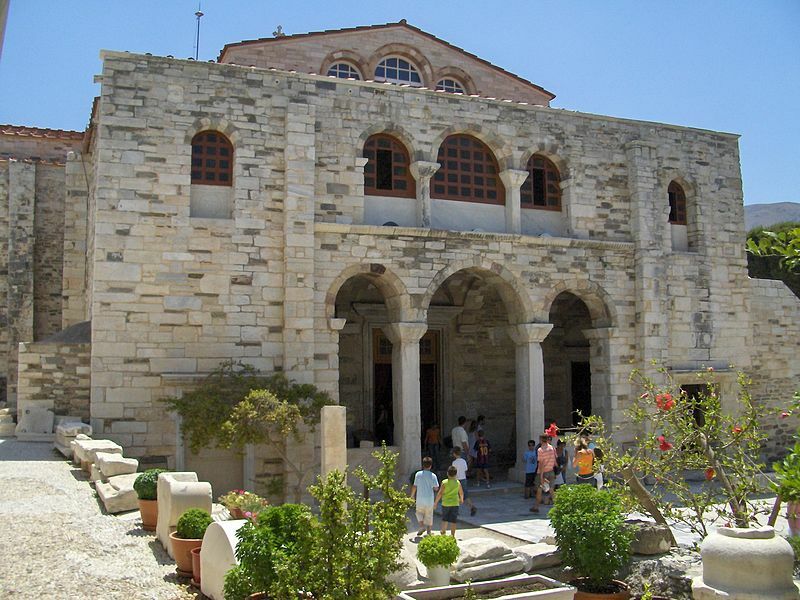 The church of Panagia Ekatontapiliani is located few meters from the port of Paroikia. 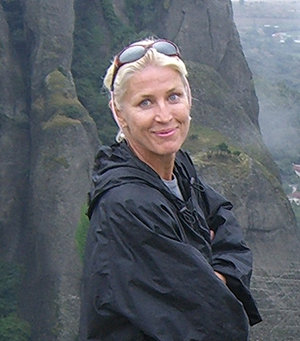 It is one of the most significant Byzantine monuments of Greece. The name Ekatontapiliani means the Church with the Hundred Doors. According to tradition, the church has 99 doors and a secret door will open when the church of Hagia Sofia in Constantinople will be Orthodox again.The Monastery of Panagia Ekatontapuliani is one of the most imposing Byzantine monuments. According to the legend, the church was constructed by Saint Constantine, first Emperor of Constantinople and it is dedicated to the Assumption of the Virgin Mary. 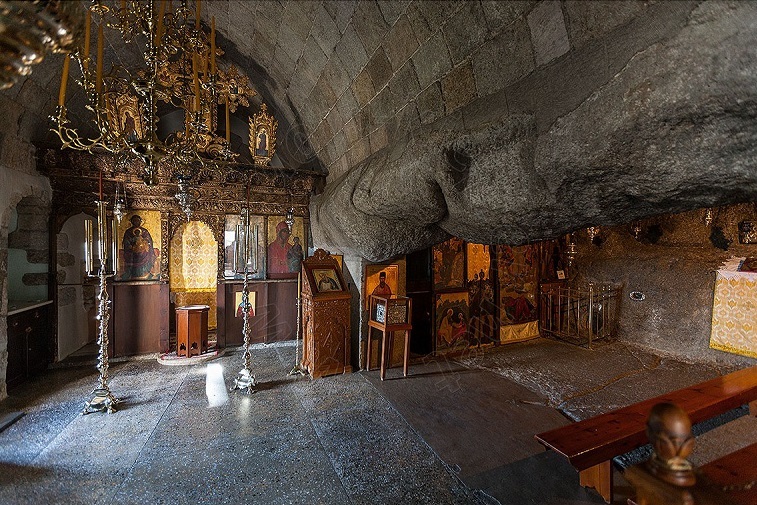 In the year 96AD in a small cavern on Patmos Island Apostle St. John had a vision. His student, Prohoros, wrote down this vision by order of the Lord, and it is known as the 27th and final chapter of the Holly Bible. 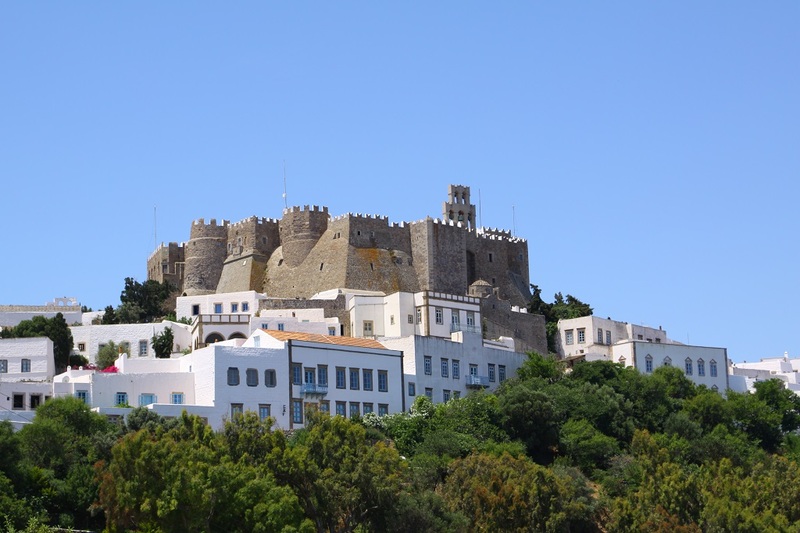 The first thing you notice on Patmos is the monastery of St John the Divine or the Evangelist. It crowns the hill of Hora. It looks like a Byzantine castle and was built like a fortress. Its presence is overwhelming. 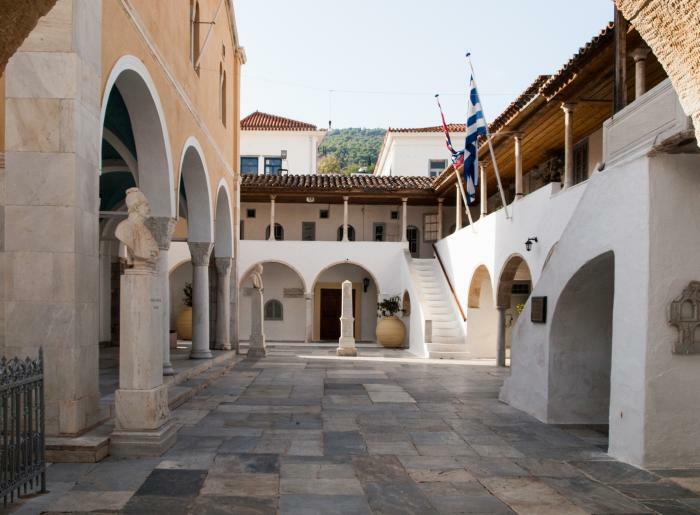 It was founded in 1088 by Ossios Christodoulos following a grant by the Byzantine Emperor Alexios I. Komnenos. The main chapel is the chapel of the Holy Christodoulos where you can admire the skull of St Thomas, pieces of the Holy Cross and other religious relics. 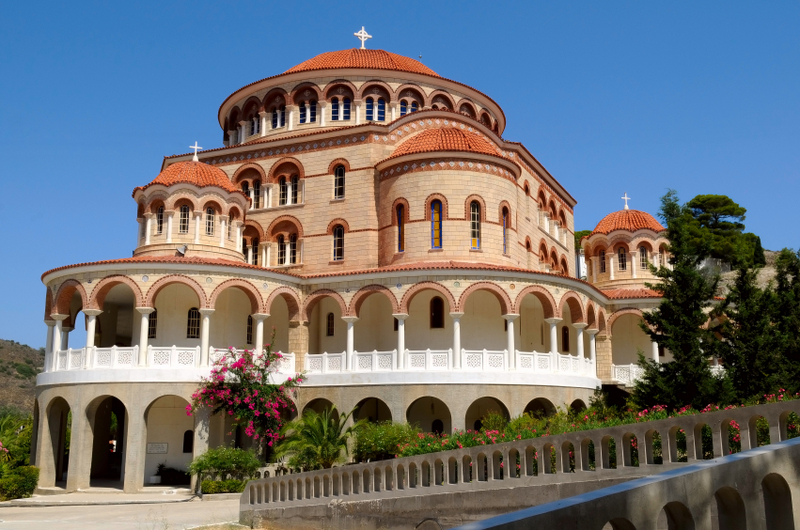 The Orthodox Church does not allow more than one ceremony per alter, per day so the monastery has 10 chapels, Saint Apostles, Saint George, Saint Fanourios, Holy Christodoulos, St Nicholas, St John the Baptist, St Basil, The Holy Cross, All Saints and the chapel of the Virgin Mary. Evangelistria Church is also known as Panagia Megalochari which means Virgin Mary with all graces. 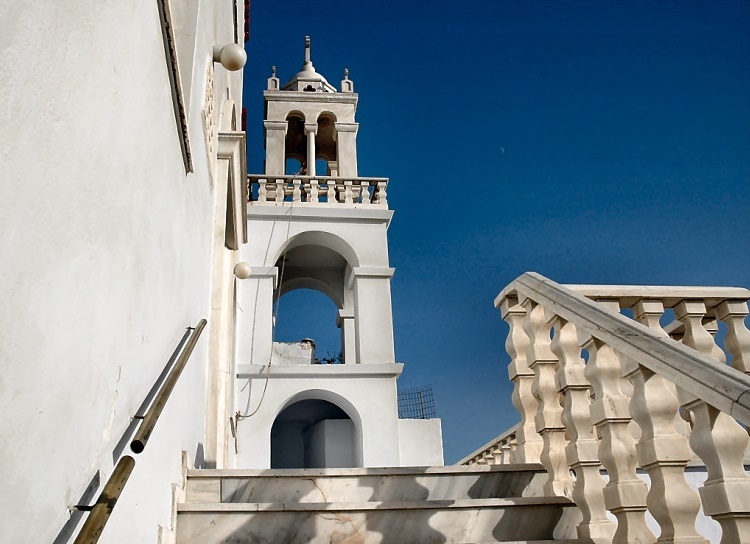 The church is located on a hill above the Chora of Tinos. Many visitors cover the distance to the church on their knees as a promise to Virgin Mary. The path is very rough so there is a carpet from the port to the entrance of the church for those who want to walk the path on knees. Pilgrims leave their offerings on that icon which actually represent their wishes, usually for good health. Saint Pelagia of Tinos, a Greek Nun saint, the one that has helped- through her visions- the discovery of the sacred icon of Panagia of Tinos. This icon is one of the most sacred, venerated icons of the Holy Mother, all over Greece and, maybe the most famous pilgrimage that is dedicated to Her Grace, each year on the feast of Her Dormition on August, 15th. Saint Nektarios (1846 – 1920) Metropolitan of Pentapolis and Wonderworker of Aegina, was officially recognized as a Saint by the Ecumenical Patriarchate of Constantinople in 1961. His Feast Day is celebrated every year on 9 November. He wrote, published, preached, heard confessions and constructed the Church of St. Nektarios and Monastery of Holy Trinity. Considering his innumerable miracles and healing abilities Nektarios was recognized as Saint shortly after his death. 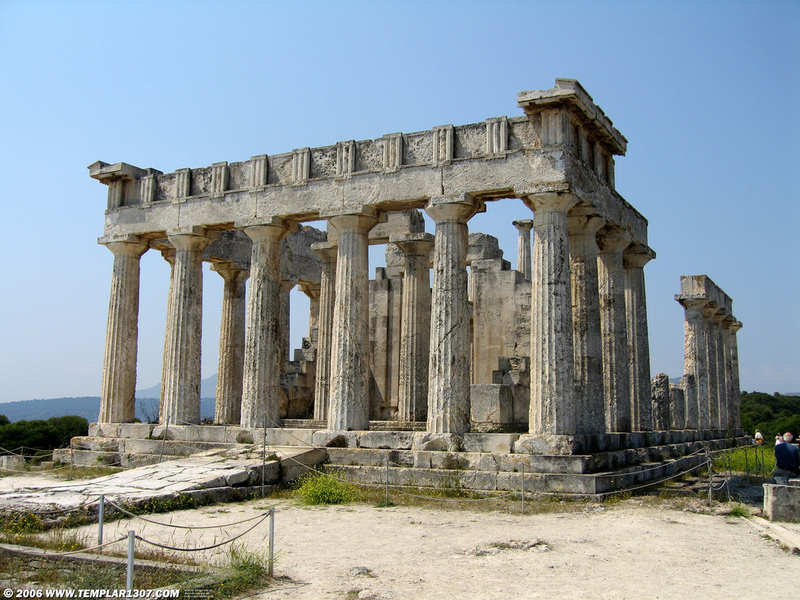 The Temple of Aphaia is considered to be one of the architectural wonders of ancient Greece. The architecture of the temple is in the Doric style but an influence of the Ionic culture is prominently seen as well. Together with the Temple of Poseidon at Sounion and the Parthenon in Athens, it forms an equilateral triangle. 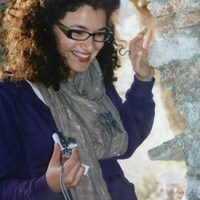 The archeological site is a special place with an atmosphere of tranquility and beauty. 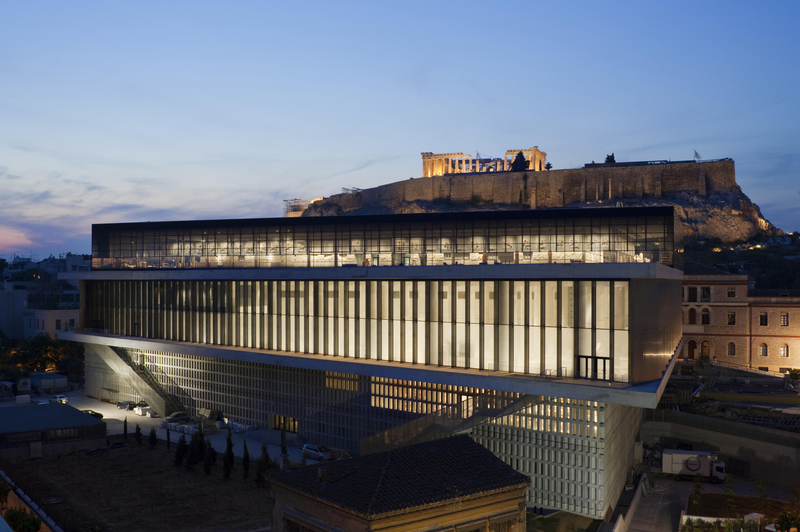 The Acropolis museum is located in the center of Athens, in the southeast corner of Acropolis rock and has a total area of 25,000 square meters. It is a brand new museum which was built to host exhibits that were found during the excavations in the Acropolis and that were too many to fit in the former small Acropolis Museum. It is one of the most impressive museums in Europe. It hosts the most important findings of ancient Greece. 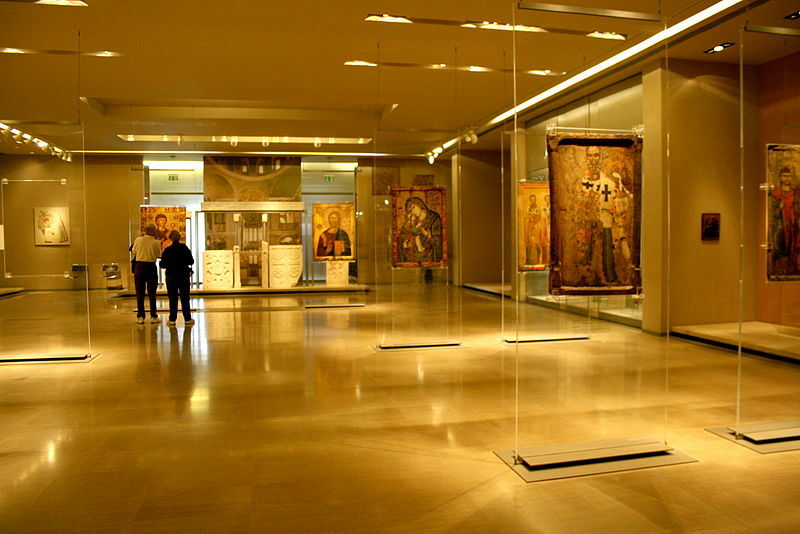 The Byzantine and Christian Museum is based in Athens and is centred on religious artefacts of the Early Christian, Byzantine, Medieval, post-Byzantine and later periods. The museum has over 25,000 artefacts that span over a wide time range. The collections and value of the exhibits make the Museum a veritable treasury of Byzantine and post-Byzantine art and culture.